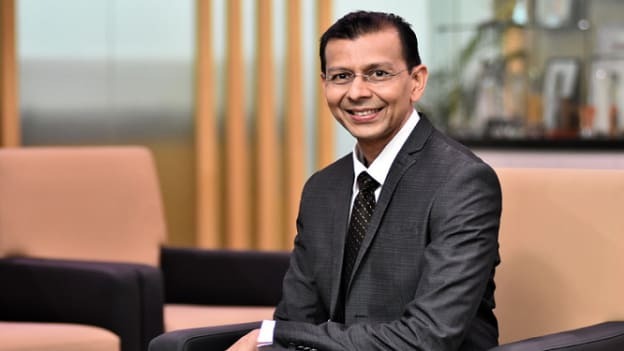 During a special interaction with People Matters, Mayank Parekh, CEO of the Institute for Human Resource Professionals (IHRP) shares how the institution aims to strengthen the HR profession in Singapore and enable HR professionals to be key enablers in their organizations. With a belief that in a region like Singapore, which lacks the abundance of natural resources, success is exclusively driven by the human capital, Mayank Parekh, CEO of the Institute for Human Resource Professionals (IHRP) believes that IHRP has a strategic and key role to play in upgrading and uplifting the human capital practices in Singapore. Mayank Parekh has over 20 years of experience in regional and global HR and general management roles prior to joining the Institute for Human Resource Professionals (IHRP) as CEO in June 2017. IHRP is a professional body set up by the tripartite partners — the Ministry of Manpower (MOM), the National Trades Union Congress (NTUC) and Singapore National Employers Federation (SNEF), and is the only HR professional body in Singapore authorized to implement national HR credentials, known as the IHRP Certification. IHRP has the goal of setting the HR standards of excellence and enabling human capital development in enterprises. What has been the core mandate of IHRP and how is it working in that direction? As an HR professional body, IHRP’s core mandate has been to define the skills and competencies that the HR professionals require today and for the future, and defining such competencies and standards across the HR practice for MNCs, SMEs and Public Sector irrespective of their size, industry or segment. IHRP has taken a holistic approach for defining such standards by involving senior HR professionals and the tripartite partners — the government, the unions, and the employers — to understand their vision of the HR profession and build a community that could help them in addressing the current and future challenges that the HR community faces. This process took almost two years and involved research, focused group discussions, comparative analysis of other international HR professional certification bodies, as well as interviews with HR professionals and subject matter experts to come up with a framework called the “Body of Competency” (BoC). The BoC reflects a set of competency standards required for HR professionals to be future-ready and equipped to enable business-driven human capital development. The BOC not only sets the standards in terms functional and foundational competencies but also defines the mindsets and behaviors that are expected by the HR professionals to deal with people and manage work-related situations. How is BOC structured and how does it link into IHRP’s certification? There are three areas of competency that make up the architecture of the IHRP’s BoC — HR Mindsets and Behaviors which reflect the way HR professionals think and behave as they approach their HR work, deal with people and manage work-related situations; HR Functional Competencies which are required to successfully deliver their functional role, which cover activities undertaken across the people management life cycle; and HR Foundational Competencies that underpin and serve as core enablers supporting HR functional activities. Foundational competencies span across the spectrum of HR roles and HR specializations and include competencies like analytics, the ability to understand and leverage technology in HR operations, the need to know about regulations, and finally developing relationships and communications skills. Functional competencies, on the other hand, follow the lifecycle of employees from talent attraction, to engagement and development, and finally to the separation process which is also important to get right. And wrapped around these are the mindsets and the behaviors related to whether HR is business and outcomes-driven if the HR is leading change and transformation in organizations or does the HR uphold ethical behavior and a code of professional practice. These competencies detail the expected competency performance statements for the IHRP Certified Professional (IHRP – CP) and IHRP Senior Professional (IHRP – SP) levels. IHRP aims to enhance the competencies of HR professionals through Continuing Professional Development (CPD), as well as open opportunities for experiential developmental and professional pathways for them for which, it has mandated 90 hours of CPD as a requirement for re-certification over a three-year time frame. What do you think is the objective of the tripartite partners in developing the HR community? For the tripartite partners, HR is not a function but a multiplying force. In Singapore, the human resources partners with the businesses as well as the unions to bring about transformation and change; and such a partnership necessitates all stakeholders to come together. Employers see HR as a strategic partner and a better equipped and competent HR is crucial for them. For the unions, it is all about how HR ensures that employees and workers are prepared for the future of work, and adapt and grow for employability. The current challenges of disruption, uncertainty, and changing business models are opportunities for HR to step up and help their business partners with unique solutions that are centered on people and organizational development. What have the key milestones that the institution has achieved in its journey? One of the big achievements for IHRP in this journey has been setting up of the IHRP Certification which is a national HR certification framework that a community of about 1,000 HR professionals uses. The certification is a holistic, rigorous, future-friendly and business-relevant certification that has over time become a benchmark for all HR professionals. The certification is not just a validation of a person’s skills and competencies but is also a good signal to the employers that the person imbibes a ‘development mindset’. It gives professionals an industry-endorsed mark of quality and certifies the mastery of HR competencies and behaviors while demonstrating a commitment to career-long learning, progress, and mastery in the key capabilities that prepares the individual to support management and workforce through business transformation. What role does the HR play in bringing digital transformation especially in Singaporean organizations? Digital transformation is an opportunity for HR because this is a way in which it can really make an impact not just on the employees but also on the overall organizational effectiveness. But the question is that if this is the opportunity, how do we ensure a greater adoption? It’s actually a multi-agency effort and though the HR is very much at the forefront to support it, it cannot forget itself. That’s why we are working with various agencies to highlight that HR can play a role as a vertical across the economies and it has also got its own digital means. We are working with some of these agencies to curate some programs on training, providing exposure, pre-qualifying some solutions which companies can use at a subsidized rate. What are some of the competencies the HR function needs to amplify? I believe that the HR has certain strengths around stakeholder management, building the culture across the organization, ensuring that we have consistent communication with employees, and managing the change process within the organizations — HR is very much at the forefront when it comes to these. However, we have to keep in mind that the pace of change is accelerating much more than before and HR is being impacted by technology in a big way. With the advent of new technology, we have seen a tremendous shift in the way we interact with employees and that’s an opportunity for HR — to learn a lot more around how to leverage the digital means of communication. At the same time, there is an increased demand from HR to provide more support. Businesses see people as a major investment and want to understand the contribution of people much better. This means that the HR really needs to step-up and say this is how we can measure and benchmark it. I think providing analytics around people is something that HR will have to do much more. Also, HR needs to look at the future and help the organization to shape some of the organizational strategies — that’s a skill HR needs to equip itself with.